The music of Brazil has captured the hearts and imagination of musicians and music lovers alike since the mainstream introduction of Bossa Nova in the second half of the twentieth century. 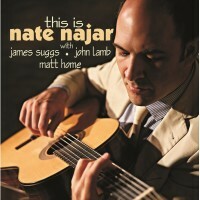 The "arrival" of Bossa Nova is generally associated with the landmark 1962 recording "Jazz Samba" from Charlie Byrd and Stan Getz. Other jazz artists, however, had already begun experimenting with the music, most notably Laurindo Almeida and Bud Shank, and even Dizzy Gillespie had a recording of Desafinado that predates "Jazz Samba." 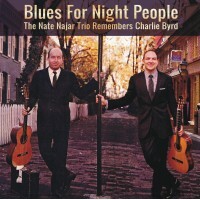 But it was the Byrd/Getz record that entranced the public imagination and launched the Bossa Nova Craze. Pretty soon record labels and promoters would put the name Bossa Nova on anything they could to make a sale. The latter half of the 1960's saw rock and roll take over much of the general populace and the Bossa Nova craze was over. Still, jazz artists had adopted the beautiful melodies, lush harmony and enthralling rhythm as fertile ground for improvisation. At the same time, the great Bossa Nova composers and practitioners continued to display their artistry for years to come. The compositions on this recording represent a wide cross section of Brazilian musical influence, a Watercolor of Brazil if you will. Four of the selections come from one Bossa Nova's originators (and one of the finest composers of the twentieth century) Antonio Carlos Jobim, and yet all four are very much post Bossa Nova. 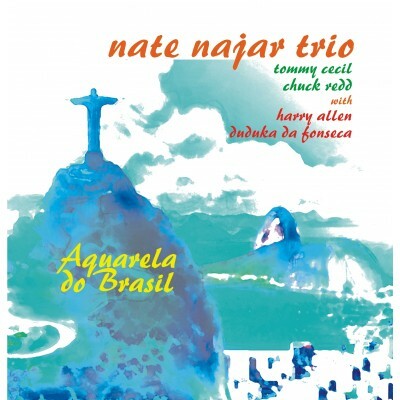 The rest of the selections either predate Bossa Nova or are jazz tunes with a Brazilian influence. Jobim's Ligia came to me from João Gilberto and Fotografia from the wonderful record Elis and Tom featuring Elis Regina. Amparo and Chovendo Na Roseira came from an ultimately forgettable film called "The Adventurers" for which Jobim composed the score. The score, however, is most certainly unforgettable and Jobim would record these pieces a few more times over the rest of his career. Aquarela Do Brasil is of course that gorgeous, soaring 1939 melody from Ary Barroso known throughout much of the world simply as "Brazil." Walt Disney introduced it to the wider population in 1942 and it has endured. Carinhoso is such a beautiful, pure melody and I fell in love the first time I heard it. Written by the wonderful Brazilian composer Pixinguinha, it came to me first via one of my favorite guitar players, Charlie Byrd. Charlie himself is represented with his own composition written for his daughter, Charlotte's Fancy. Speaking of Charlie Byrd, one of his largest supporters, admirers and great friends was the WMAL DJ Felix Grant in Washington, DC. Felix was instrumental in helping to popularize Bossa Nova in DC and was a great supporter of all things jazz. Our bass player, Tommy Cecil, knew Felix quite well and wrote Samba For Felix in his honor. I thought it a terrific tune and asked Tommy if we could include it on the session. Chuck Redd and Tommy Cecil are two of the finest musicians I could ever hope to work with and I feel very fortunate to get to record and perform with them as often as I do. The fact that Chuck is equally strong on both drums and vibes is a tremendous benefit to the musical possibilities presented.